It’s the staple food of many poor college students and struggling young workers. Because of its extremely low price, seniors on a fixed income eat it. 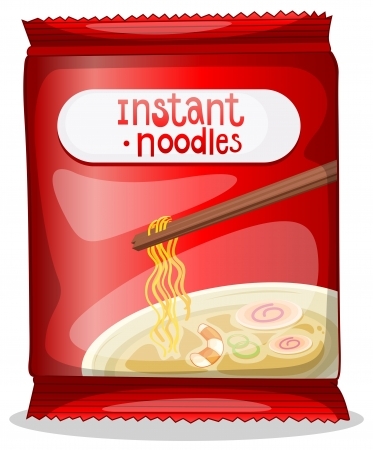 But South Koreans eat more instant noodles than people in any other country in the world – 3.4 billion packages in 2010. A study of the health effects of instant noodles focused on South Korea, and the results are disquieting. The researchers were led by Hyun Joon Shin of Baylor University in Texas. The study examined data from the Korean National Health and Nutrition Examination Survey (KNHANES), for the years 2007–2009. The study looked at 10,711 adults, aged 19 through 64. The KNHANES includes a food-frequency questionnaire, which covers 63 of the foods and nutrients most popular in the country. The researchers identified the two types of diet most prominent in South Korea. The first is the traditional diet, which they described as “rich in rice, fish, vegetables, fruit and potatoes,” and the second is the meat and fast-food diet, “with less rice intake but rich in eat, soda, fried food, and fast food including instant noodles.” This included all types of instant noodles, not just ramen. Shin’s team wanted to determine whether some Koreans are unhealthy because of an overall poor diet, or do instant noodles themselves pose a health threat. They looked at the instant noodle intake of specific individuals, and found some patterns. They found that although many well-educated Koreans eat the meat and fast-food diet, they did not eat instant noodles. Noodles were most frequently consumed by people with lower incomes and levels of education. Subjects of both genders who frequently ate instant noodles (approximately twice a week), and those in the highest quintile of the meat and fast-food diet group, were younger, more likely to smoke, drank more alcohol, were less physically active, and ate fewer carbohydrates. While it was impossible for the researchers to definitively separate the effects of instant noodles from the general effects of the poor “meat pattern” diet, they did find that eating instant noodles only twice a week raises your risk of cardio-metabolic syndrome, a cause of heart disease, diabetes, and strokes. The effects were more striking in women. Let’s face it. Science is trying to fit us all into a template system. Instead of treat the individual, we must all fit into the template they have been creating. If we don’t, we are considered abnormal. “Normal” though, is the center of a bell curve, or an average. RDA servings are based on nutrient dense calories, of days gone by. Even raw, the nutrient levels of foods have diminished, over time. The more times a food is processed, the more the balanced matrix of nutrition is disrupted. Loosing an amount of nutrition out of a nutrient dense food source had no significant impact. Removing the same amount out of a nutrient sparse food source has a far greater impact on health. Our bodies still need those nutrients. We over eat in an attempt to fill those nutrient requirements. . The other problem with the template model is it gives no value to form of nutrition. Calcium is calcium; vitamins are vitamins and so on, we are led to believe. This is a false premise. The bonds between elements in the compounds we consume, differ greatly. Many of them require microbiology to predigest them, so our bodies can utilize them. We have been made to fear microbiology, though. We don’t differentiate between the beneficial and the detrimental, choosing to kill them all, just to be safe. We understand this with regard to other battles. No longer do we carpet bomb our enemies, killing the good with the bad. When will we learn this lesson with our food? To win, we need to fortify our allies. Pasteurization, irradiation and the like, are all the equivalent to carpet bomb protocols on our food. Food grade hydrogen peroxide kills the pathogens, without killing the allies. Sodium Chloride salt kills, where full matrix sea salts fortify our microbiology allies. Check labels most of the sea salt sold, is only NaCl extracted from the ocean. Ramen is nutritionally valueless. It is the flavor packet ingredients that impart the flavor …and ultimately the colon cancer.